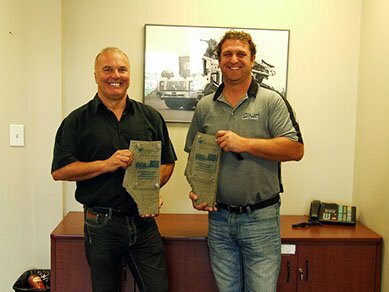 Dynamic Concrete Pumping Inc. and our partner Twin Tec USA Inc. have won the 2013 Award of Excellence in the Advanced Concrete Construction category from the American Concrete Institute, Alberta Chapter for its work on the GDL Logistix facility in Edmonton. The warehouse includes 575,000 square feet of joint-free high-tolerance concrete flooring. The team met extremely high flatness tolerances and used unconventional pour rates and installation techniques to accommodate an aggressive schedule. The floor slab is delimited by armoured construction joints called double Omega joints, which provide optimum load transfer and concrete edge protection.